It’s getting more unappealing to be on the plot. Cold, slightly slushy underfoot and usually with chilly breezes nipping at your face. I could do with a break from it. I’m looking forward to cosy winter days of planning and poring over seed catalogues, not wrestling with blackthorn (yes, that’s still going on) or wielding a mattock. And I have an exciting seed-based project for the New Year, of which more later when the creases are ironed out. There are 3 BIG jobs I want done and before next season if possible: a) moving my shed (many eye-rolls accompany this one), b) putting up the second greenhouse (which requires a decision on exactly where) and c) planting out my transplanted soft fruit plantation. Which will require a proper fruit cage and also depends on where the greenhouse goes. And if/when I get bored of all that, I have a land-drain to dig when it gets massively boggy again. 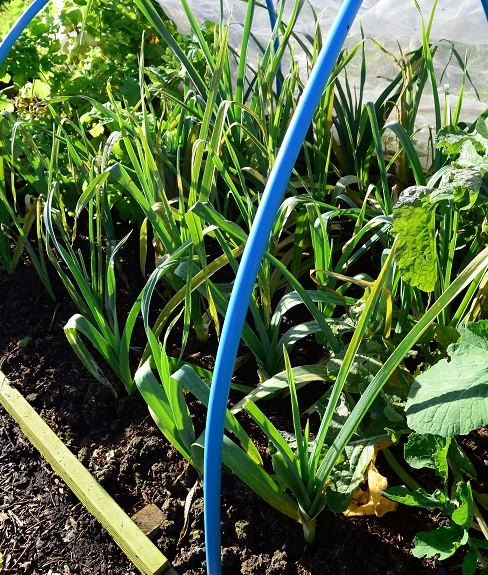 A lthough most of the plants sighed & died in the frosts, we have plenty of winter veg to keep us going. 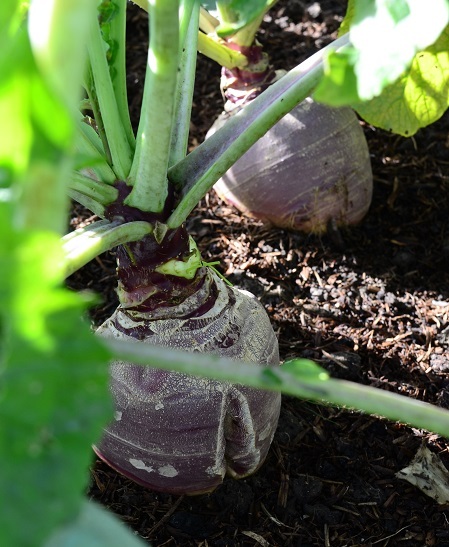 Swedes and parsnips are what I am particularly looking forward to, but I also have kales, pak choi, leeks and beetroot ready to pick, and on the horizon are sprouts (meh! not really grown for me), oca and wonderful, glorious PSB. The red Russian kale is especially tasty, without the slight bitterness of cavolo nero and I foresee much more of that being grown next year. 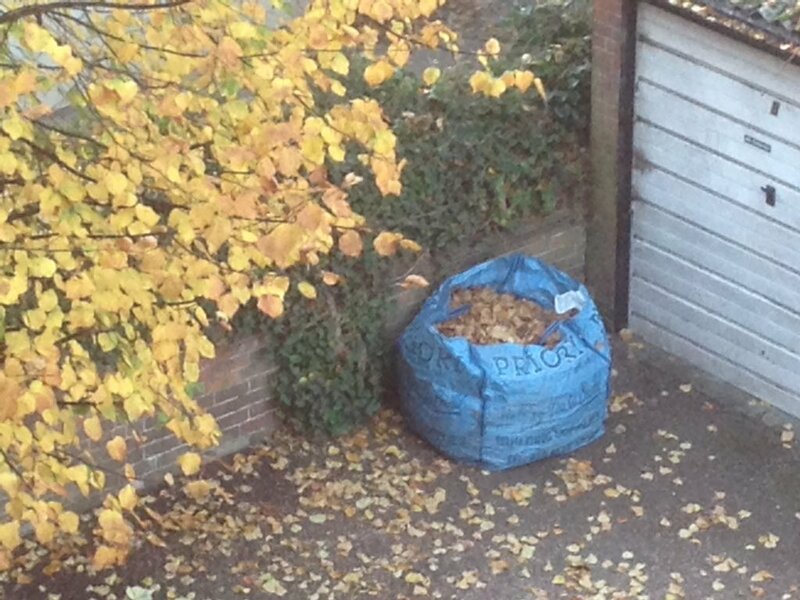 Like last year, the gardeners have left me two massive tonne bags full of leaves which need transporting a mile up the road to the plot. I might need to hire a van. Unlike last year they want their bags back by Tuesday week, so I’d better sort this out sharpish! Beryl, we had quinces in our place in the Languedoc and unless we picked them early, they were always rotten inside. I’ve never had a nice sweet soft quince! They were either rock hard or rotten…. This makes me feel better. I ventured up to the plot today after snow and rain earlier in the week. Lots of new plot 8 is under water. I cut back the asparagus on plot 7 and harvested the summer sown carrots. Did a bit of weeding. 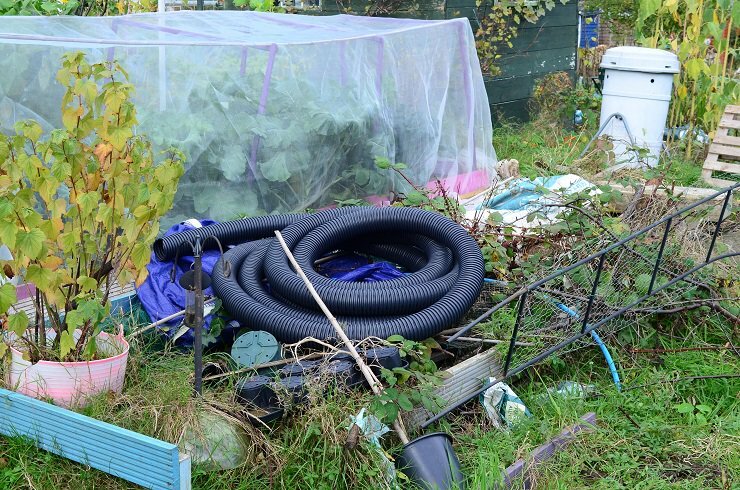 I still need to clear out and clean the polytunnel and weed 2 more beds before spreading manure. The fruit bed is a horrible mess of couch grass and the blackberry needs hacking back. I will do what I can do and accept it, given the lack of daylight hours, poor weather and other demands on time. Sounds like a good plan for keeping your sanity! Sorry you’re a bit flooded out already. Am going to steel myself for a few shifts in the cold this week to get more on top of it all. I am suffering with indecision! Not quite sure where it will all drain to. I might have to suffer one more winter of bogginess.